Comments: Maybe use 10mm heavy wall and use 4 tubes with 3 slits each? Cons: - You will need to be very careful at all times while handling it. - May be a poor choice for clumsy people. Comments: I would not have believed it for a moment if someone told me what a difference this pentastem makes. Using this in a single 5-branch perc piece is smoother than my old 6-branch triple perc piece! Not by a little, by A LOT! I can hardly believe it myself! This stem, in combination with 15" single perc (WP1773), I think is the best piece I've ever used in my entire life with no exaggeration. I don't care how fragile it is or how many I break, I'm going to be using these from now on. I will stock up if necessary. If you can replace or upgrade only one part of your setup, this should be it. Cons: borke after a month with no apparent cause. just broke while in use? maybe it was cracked? Pros: completely changes the way my water pipe hits, makes smoother harder rips. Comments: just got this today, it's pretty dope it like evens out the smoke it's crazy. Pros: Perfect amount of resistance. Comments: get two. your gonna break one and then you can have a spare while you wait (a short time of course). i missed it terribly till i replaced it. Pros: This downstem is amazing. The perculation that this downstem creates is mind blowing to say the least. It makes air flow better which in turn makes for faster easier clearing. Comments: Get this downstem, it will make your piece so much better. 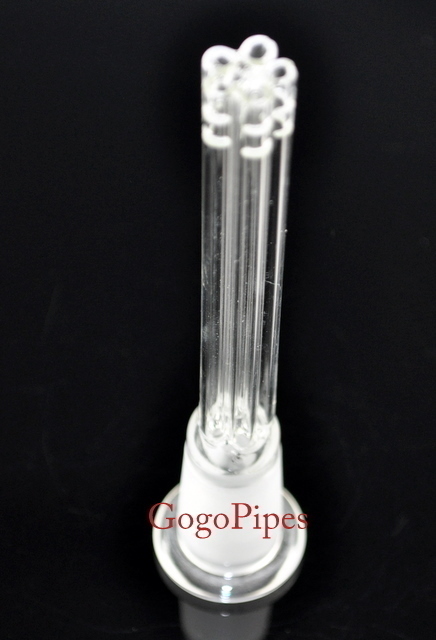 Also this downstem is $60 and up on other websites.